Whether windsurfing or kitesurfing, exploring Roman and Moorish ruins or just enjoying the views, Tarifa is an ideal stopping place in Andalucia. Tarifa is a small, traditional town on the Costa de la Luz in Cádiz Province, Andalucia, Spain. The town sits on the southernmost coast of Spain, facing Morocco across the Strait of Gibraltar and at the point where the Atlantic Ocean meets the Mediterranean Sea. 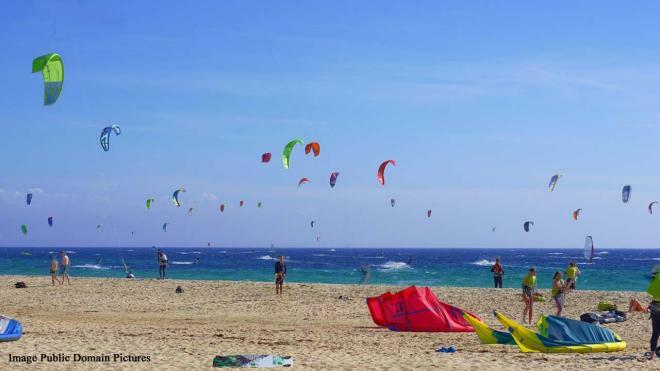 The town tends to get a little windy, but that’s what makes Tarifa a popular spot for kitesurfers, windsurfers and surfers in general. If you haven’t tried these sports, there are several surf schools in town to help. The narrow, winding streets feature many cafes, tapas bars and restaurants and there are plenty of shops. However, Tarifa also has glorious, white sand beaches and plenty of history to explore, with its Roman and Moorish past. This expansive 7 km stretch of beach features rustic dunes and stretches from Punta de la Peña to Punta de Tarifa. The windy conditions here make it the ideal spot for kitesurfers and windsurfers alike. The Castle of Tarifa, or Castle of Guzmán, dates back to the 10th century and visitors can enjoy guided tours, including beautiful Morocco, sea and city views from the castle walls. 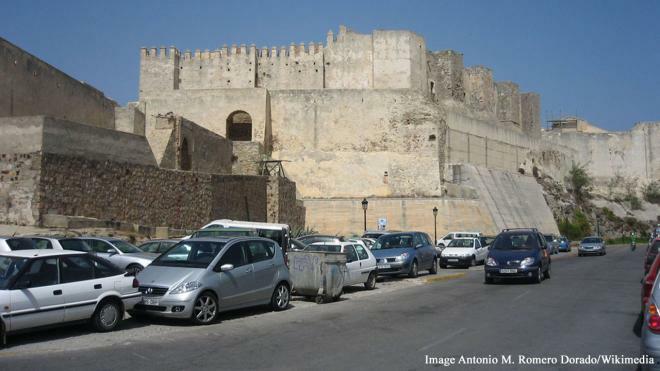 Originally built by the Moors, when Tarifa was retaken by Spain, the castle was given to Alonso Pérez de Guzmán for the defence of the country.